Hotel The Singge Palace is situated in Leh, it is a beautiful land with fantastical and surreal landscapes. Leh is a home to several Buddhist monastries, study centers and monuments. It is surely a dream destination for tourists with a plethora of attractions to visit and various exciting adventure sports to enjoy. Porter Service Available, Travel Counter, Internet/Wi-Fi, Doctor on Call, Gardens, Security Guard, Banquet Facilities, Audio-Visual Equipment, Disabled Facilities, Taxi Service. Shower Caps, Cable/Satellite TV, Luggage Rack, H/C Water, Bottled Water in Room, House Keeping, Dustbins, Internet Access, Air Conditioning Room, Complimentary Toiletries. Banquet Facilities, Conference Hall, Doctor on Call, Laundry Facilities, Restaurant, Room Service. 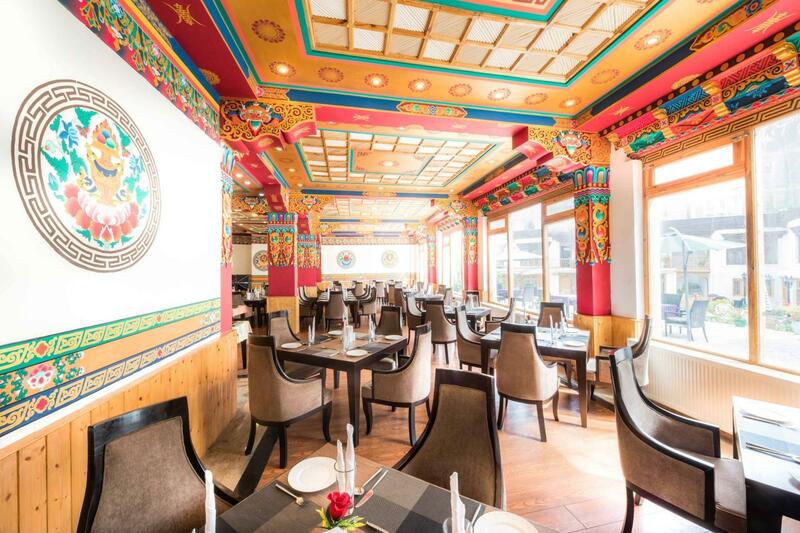 User reviews for "Singge Palace Hotel Leh"